As a lot of you may know, I'm a BzzAgent that test products and give my reviews. 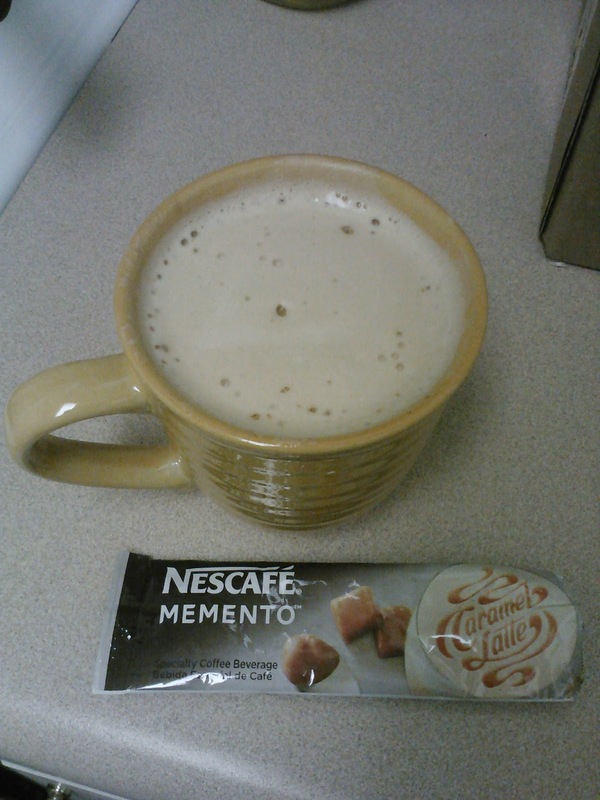 Today I've tested the new Nescafe Memento. I'm a coffee drinker so when I got into this campaign I was very excited! I usually buy my latte drinks from Starbucks but I really need to start preparing my coffee drinks at home to save money. Nescafe Memento comes in 3 different flavors, Caramel Latte, Mocha, and Cappuccino. Each pack comes with 8 packages. With Nescafe Memento, you don't need a coffee maker, all you need is hot water. What I did was warmed up 8 oz of water on the stove for 15 minutes. Once the water was hot, I poured the water in a 10 oz mug along with the Caramel Latte packet. Then I stirred the latte which created a quick latte drink. When I took a sip of my latte, I thought the taste reminds me of a freshly made coffee drink from a coffeehouse. I really enjoyed the frothy top! The caramel latte has a sweet smooth taste to it but not too sweet. Also another great thing is that no milk or cream needs to be added, taste good just by adding hot water. This drink is so good and convenient that I'll now start buying my coffee from Nescafe Memento. I can take these packets anywhere I go and have coffee anytime costing me less money! Plus it's only 100 calories a packet! Contains: Milk and Coconut Ingredients. May Contain Soy. 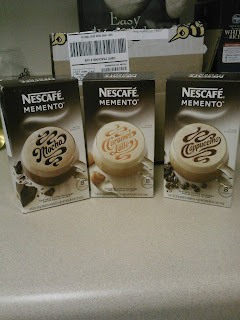 Is Nescafe Memento Worth a Try? I give this coffee drink 2 thumbs way up! I love the rich smooth taste! I can't wait to try Mocha and Cappuccino! Yeah TabbyAnn, you'll love this coffee! Taste just like it has been made at a coffee house!